PennsylvAsia: Mishima: A Life in Four Chapters at Row House Cinema, from December 7. Mishima: A Life in Four Chapters at Row House Cinema, from December 7. Paul Schrader’s visually stunning, collagelike portrait of the acclaimed Japanese author and playwright Yukio Mishima (played by Ken Ogata) investigates the inner turmoil and contradictions of a man who attempted the impossible task of finding harmony among self, art, and society. Taking place on the last day of Mishima’s life, when he famously committed public seppuku, the film is punctuated by extended flashbacks to the writer’s past as well as gloriously stylized evocations of his fictional works. 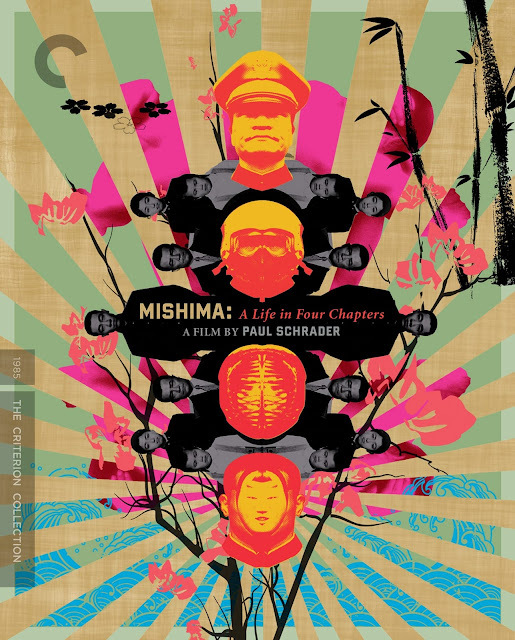 With its rich cinematography by John Bailey, exquisite sets and costumes by Eiko Ishioka, and unforgettable, highly influential score by Philip Glass, Mishima: A Life in Four Chapters is a tribute to its subject and a bold, investigative work of art in its own right. Tickets and showtime information is available online. The single-screen theater is located at 4115 Butler Street in Lawrenceville (map).